At Jezebel, we’ve made it our mission to transform the brutalizing slog of election reporting into a creative exercise—namely, we’ve sought to find the words to describe Donald Trump’s utter terribleness. It’s a job we take seriously and one that will likely never be complete until we’re all dead under a pile of his heft. Still, words are intangible and, thus, are only so satisfying. So, we chose to bring some of our favorite descriptions to life through a bit of crafting. 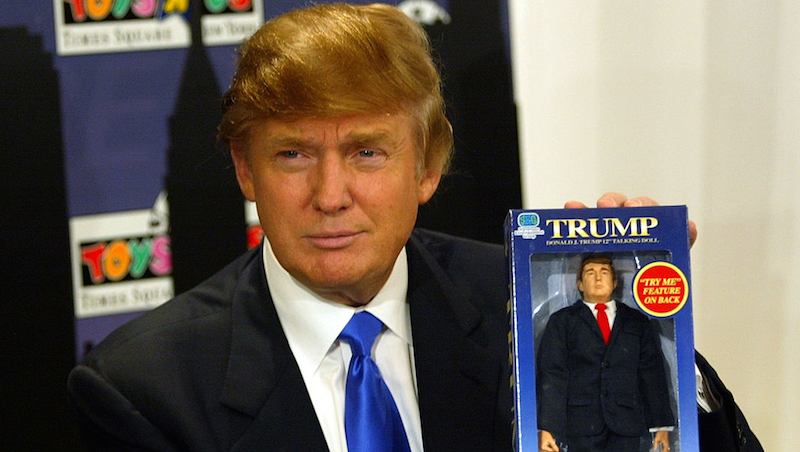 All you need to make your own little abstract Donald Trump figurines at home are some cotton balls, glue, gold hairspray, artificially colored orange snacks, your favorite meat product, and a good attitude. Post your creations in the comments! God bless America.